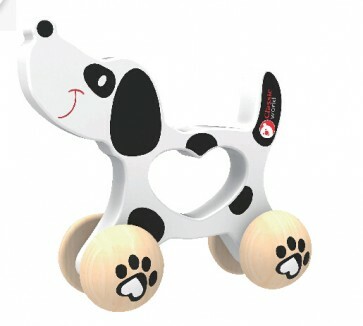 Little ones will keep exciting and happy to play with this adorable dog toy from Classic World. This super cute dog from Classic World is perfectly designed to easily grasp for small hands that encourages coordination and imaginative play. Made from natural wood with non toxic painting finishing materials. Helps development of coordination, grasping and balance skill. Recommended for aged 10+ months.